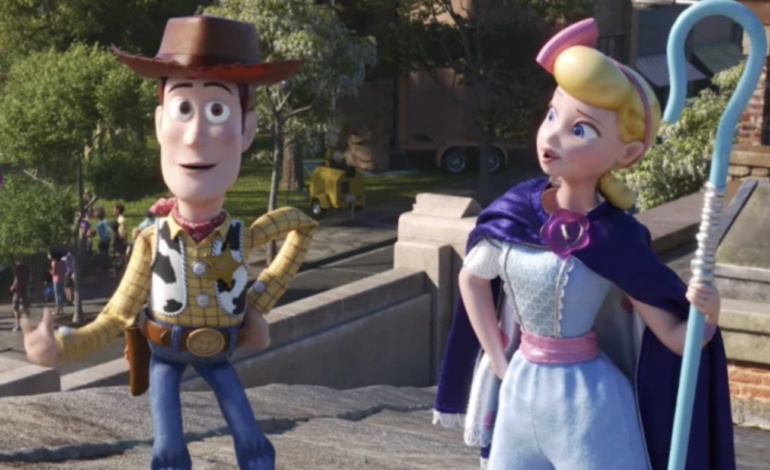 While fans were met with the surprising return of Bo Peep and her new look, which featured a pantsuit and a purple cape, Pixar has just released its first trailer for the movie. Viewers see Buzz Lightyear trapped in a carnival game as a prize and meets two other toys, a yellow bird and green rabbit voiced by Keegan-Michael Key and Jordan Peele in this 30-second trailer. Another new toy that will also be featured is Forky, voiced by Tommy Hale, which appears as a character made out of DIY crafts materials. The rest of the cast will include Tom Hanks, Tim Allen, John Ratzenberger, Joan Cusack, Keanu Reeves, Annie Potts, Don Rickles, Wallace Shawn, Jeff Pidgeon, Estelle Harris, and Blake Clark. The toys will go on a road trip and explore the world around them. This will be Josh Cooley’s first time helming a movie as a director after co-writing the script for the animated film, Inside Out. The Toy Story series began in 1994 and has made $1.94 billion with the third film making the most at $1 billion, according to The Hollywood Reporter. See Toy Story 4 on June 21. View the trailer below.